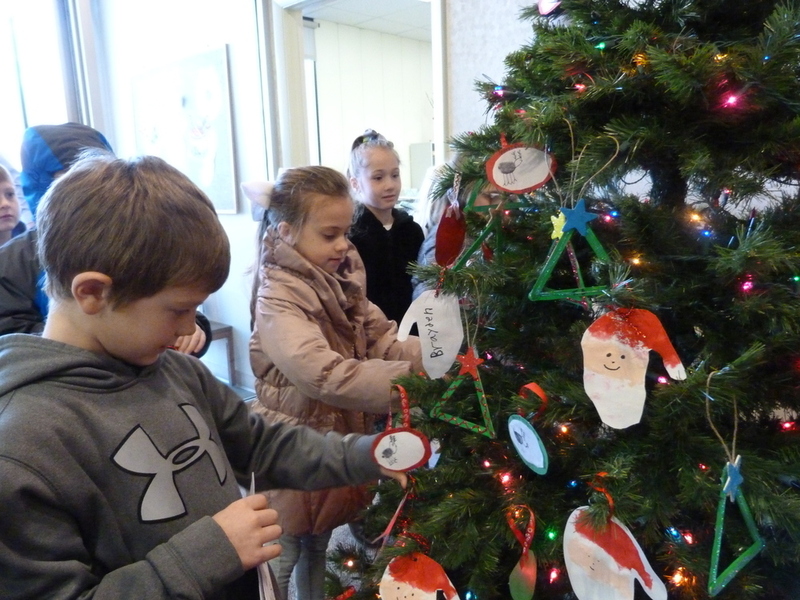 Three classes of second-grade students from Wingate Elementary School stopped by the Bald Eagle Area School District administrative offices on the morning of Dec. 1 to spread the holiday spirit. They participated tree-decorating by hanging ornaments they made in class earlier in the week. They also sang three Christmas songs to district administrators – something teacher Shelby Foltz said they do every year.